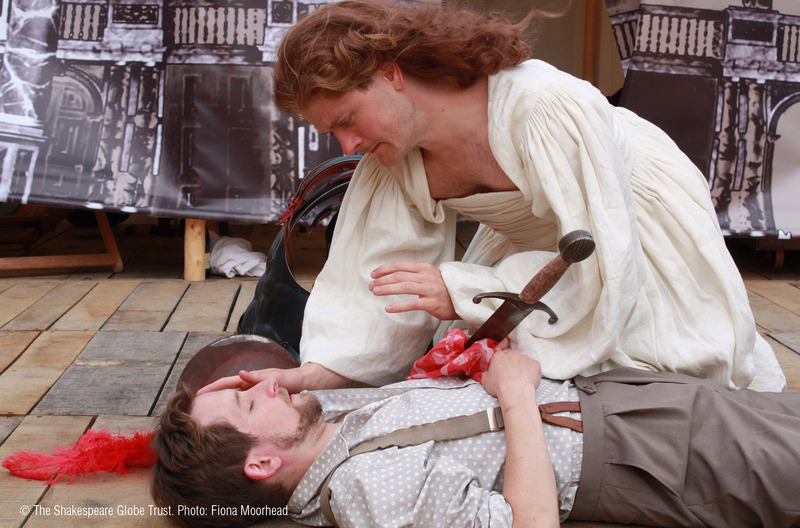 In these lessons, students will learn how to read and respond to the text of the play. This will help them to gain crucial close-reading skills. Tasks include: textual allusions to social and political issues of the time; a close analysis of one particular speech for performance; and a list of practice exam questions with an emphasis on language. Can I analyse quotations to establish what is being said about a particular character, and the context in which it is said? Can I use contextual information to support my analysis of the play’s language and imagery? Students are given a set of cards with a number of words and phrases written on them, all things that characters say about other characters in A Midsummer Night’s Dream. Students are asked to think creatively and find ways to group them, e.g. who they are said about, who says them, whether they are saying positive things or negative things, whether they are official titles or more personal and familiar ways of addressing each other, etc. Take feedback about pairs’ approaches and findings. The cards are available in the downloadable Lesson Plan at the bottom of this page. In the Student Booklet, there is a very brief extract from Act 2 Scene 1 lines 8-15, accompanied by some very detailed contextual notes. Explain to students that such detailed notes support interpretation of the play’s language and references that may seem obscure to modern readers. Model for students making the connection between a piece of contextual information and the meaning of Shakespeare’s language for one of the examples, and students could repeat this process. Support students with their reading and comprehension of this kind of heavily annotated text. They can also help with making cross-curricular links in terms of both reading skills and prior knowledge in/relevance to different subject areas. Students should begin to establish a connection between Shakespeare’s portrayal of Titania with Queen Elizabeth I in his audience’s minds. Following on from the above activity, students could reflect on the following quotations, which are displayed on the Rulers PowerPoint (available in the Downloads section at the bottom of this page). Students should think about how Shakespeare makes subtle social and political observations by using the fairy king and queen as an allegory for earthly rulers, the fairies as courtiers and their subjects. What do the following quotations have to say about the relationship between rulers and their subjects? How do ‘ordinary subjects’ view the people who rule over them? What do they reveal about the world of the royal court, its language, manners, etc.? And I do love thee: therefore go with me. How do the characters in the play address each other and talk about each other? Why is it so important when writing about a quotation to think about who says it, who they are with, what the circumstances are, etc.? Students could play around with the idea of nicknames and epithets, perhaps drawing on some of the evidence they have gathered from the activities here. They should think of the most apt nicknames or epithets for the various characters in the play. How might these change as the play goes on? ‘The Faerie Queen’ is a long English epic poem by Edmund Spenser dating from the 1590s - the same decade as A Midsummer Night’s Dream. This popular poem, which found favour with the queen herself, can be read as an allegory in praise of Queen Elizabeth I. This activity could be used to follow on from the activities in Key Stage 3 Characters relating to status. Further materials about the play’s historical and social context can be found within the Key Stage 3 and the Key Stage 4 resources. An activity revising some of the literary techniques that were focused on in the Key Stage 3 resources would be useful here: alliteration, metaphor, repetition, rhyming couplet, simile. You may wish to assign a particular scene or scenes for students to investigate, depending on students’ confidence with scanning and skimming the text. Fiona Banks writes that ‘We can use our knowledge of the verse structure to look at the verse diagnostically’. Banks also suggests a number of activities which support this kind of investigation into the variety of Shakespeare’s use of metre and the different kinds of effects that can be created. Students could make notes in the Student Booklet about how these activities have helped them to analyse a particular speech or scene. Students could then work in groups reading the rest of the quotations, marking their texts with anything they notice about language techniques and their effects. As an extension activity, students could start to be more specific about the different use of language by the fairy characters, e.g. is the language of Oberon and Titania different to that of the others because of their status? If so, how? How regular or irregular is Shakespeare’s use of metre? What are the effects of variations in the play's metre? How do I think the audience would be affected by the fairies' use of language? Students should take one of the techniques that they have learned about, and find an example of it from A Midsummer Night’s Dream. They should then write a sentence or two, explaining what they think the effect of this might be in the context of the play. Take feedback. In Creative Shakespeare, Fiona Banks notes that Shakespeare often uses tetrameter for non-human characters and that it denotes ‘other-worldliness’. Students could look at passages from other Shakespeare plays where tetrameter is used, such as King Lear. Why do they think Shakespeare chooses to write certain passages in tetrameter? Shakespeare’s tetrameter is usually trochaic rather than iambic. Fiona Banks describes a helpful way to distinguish between iambs (‘shabooms’) and trochees (‘boomshas’). Ideas to support students in preparing for this learning sequence can be found within the Key Stage 3 resources. They also give another experience of using the script machine. An introductory activity on metre can also be found there. This learning sequence returns to the rhythms of Shakespeare’s verse, and focuses in more depth on the intended effects of the language being used. Can I make inferences about plot, character, etc. using language clues in the text? Can I extend my explanations about the meaning and effects of language? The activities in this learning sequence focus on scenes featuring disagreements between characters. Students are going to develop their language investigation skills, commenting in more detail about characters’ viewpoints, intentions and motivations based on clues in the text. Show students the Harmony PowerPoint (available in the Downloads section at the bottom of this page). 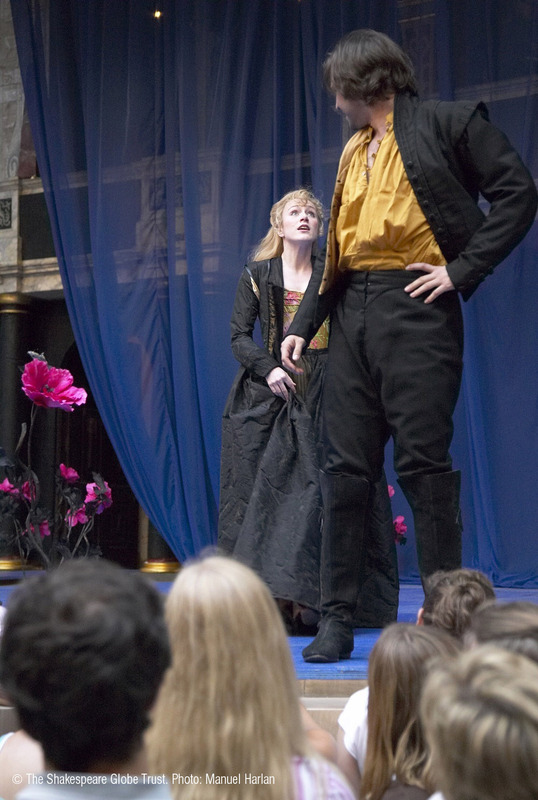 It shows images from previous productions of A Midsummer Night’s Dream, each of which features two characters. Students should work in pairs to place them in order along a spectrum with ‘harmony’ at one end and ‘disharmony’ at the other. Students are looking for clues as to the level of agreement/disagreement and peace/agitation between the characters. Visual clues may include body language and facial expressions. As an extension activity, students try to work out which scene each image comes from, and look for quotations that would serve as fitting captions. Students could begin by reading Egeus’ speech in Act 1 Scene 1 lines 22-45 out loud. First, students should read the speech and tap their desks lightly whenever they encounter a punctuation mark. Next, read the speech again and students should only tap the desk when they come to a full stop. What difference does this make? Students should then answer the questions in the Student Booklet about the character of Egeus. These include the reasons for Egeus’ concerns, Egeus’ emotional state, his feelings about Lysander and Demetrius, and what he wants from Theseus. Students should ensure they support all of their points with textual evidence. rehearsing the scene in different ways, e.g. raising voices at times or not, varying tone, sitting vs. standing, pointing on the pronouns, etc. Four follow-up questions are included in the Student Booklet. How does Shakespeare use language in various disputes and disagreements in the play? What insights does his language give us about characters’ emotional state? As a class, compile a list of different language techniques that characters use to try and ‘win arguments’. Students should use the dialogues in the previous activities as a starting point. Examples of these language techniques include rhetorical questions, emotive language and threats. Students should note down examples of each technique. To research different actors’ ideas about how characters speak to each other during the scenes discussed here, students could consult the Adopt an Actor archive. 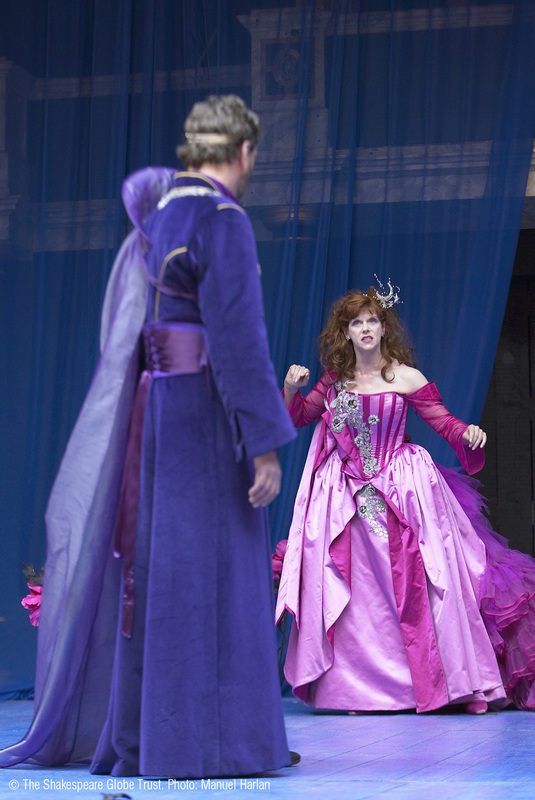 Titania and Oberon quarrel about a changeling, a child who had been swapped for another child. Elizabethans believed that fairies might take a pretty baby and leave behind an ugly one. This was one way of punishing humans for bad behaviour. 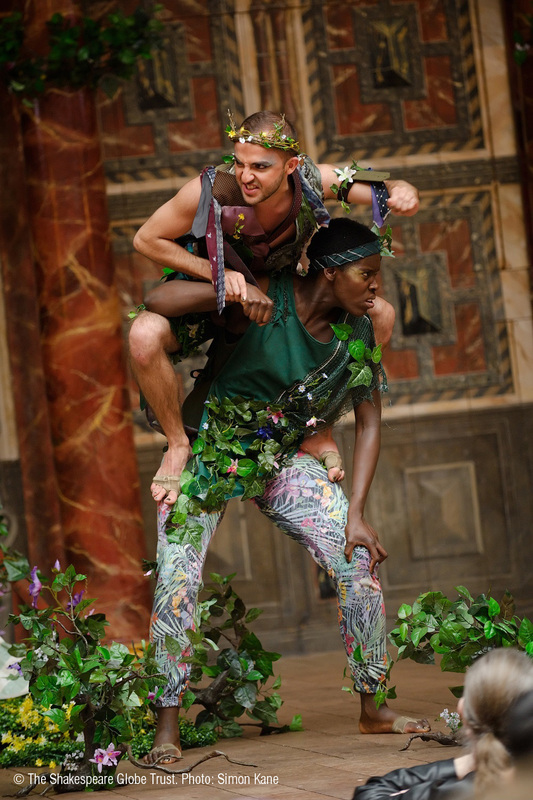 In the play, Titania’s changeling boy has been taken from India. Oberon claims the boy was a prince and was stolen by the Fairies. Titania says that his mother died in childbirth. The superstitious members of Shakespeare’s audience believed the weather reflected what would happen in their lives. Obviously, the right weather was important for growing food, so the Elizabethans knew that bad weather could mean bad harvest and starvation. Some took this much further. For example, believing thunder on Monday meant a woman would die, while thunder on a Thursday promised lots of sheep. Some people believed that this happened because of magic people or creatures. Titania’s lines reflect these superstitions. She says to Oberon that the terrible weather has happened because they have been fighting. Worthwhile links could be made to the Key Stage 3 Text in Performance activities about the role of the director, and to activities within the Key Stage 4 resources about the role of the stage manager. Can I follow the longer speeches in this play and read for meaning? Can I explain what a longer speech in A Midsummer Night’s Dream reveals about a character’s complexities and vulnerabilities? Find a speech from the play that contains roughly as many lines as there are students in the class, e.g. Act 3 Scene 2 lines 6-34. Distribute lines from the speech on strips of paper, one per student. Ask students to read their line a few times; they should then see if they can work out whose speech it is and where it comes from in the play. Ask a few questions to get students thinking about what’s written on their strip of paper, e.g. Who’s got the line where Puck describes the Mechanicals as a bunch of fools or clowns? Who’s got the line where Puck mentions the forthcoming wedding? Who’s got the line where Puck says that the Mechanicals’ clothes snagged on thorns? Now read through the entire speech in the Student Booklet, with each student reading his or her line. (Students could attempt to reconstruct the speech first, checking their version with the original before continuing). Students could have fun comparing Peter Quince’s poorly punctuated performance of the Prologue to ‘Pyramus and Thisbe’ with a correctly punctuated version of the speech. Both are available in the Student Booklet for students to compare and contrast. Once they ‘spot the difference’ between the two versions, they could focus on two or three examples and reflect on how the altered punctuation alters the sense and creates comedy! N.B. The speeches vary in length and complexity and there is scope for differentiation here. A page in the Student Booklet takes students through the process of rehearsing, performing and reflecting on this task. What can I do to approach a long Shakespearean speech with confidence? What did breaking down a speech into sections reveal about the ‘journey’ of that character’s thoughts and feelings throughout the speech? Ask students to create an alternative representation of a character’s ‘journey’ through one of the speeches they have looked at closely today. They could use a comic strip or storyboard format, a map or mindmap, a diagram of the stage, or perhaps even edit/update the speech, so as to turn it into a series of status updates or tweets. Compared to many of Shakespeare’s other comedies, A Midsummer Night’s Dream has quite a long average speech length. There are 605 occasions when a character speaks and the average speech length is 27.29 words. Many of the play’s longer speeches use rhyming couplets. Students may notice differences in punctuation in versions of the same play. Remind students that the key to exploring a complex text is to use the punctuation as an aid when reading aloud, and as a way of breaking the text into ‘sense units’. Both of these approaches will support reading for meaning, and will help students to understand the ‘journey’ of a character’s thoughts and feelings through a long speech. Encourage students not to pause at the end of a line of verse unless there is a punctuation mark. Students could also note how the number of punctuation marks affects the pace of delivery of a speech. As well as performing with scant regard for punctuation, the Mechanicals frequently mispronounce words and get words mixed up. As an additional classroom activity or homework task, students could find out what ‘malapropism’ means and the origins of this word. With dictionaries to hand, students could see how many malapropisms they can find (e.g. ‘paramour’/‘paragon’). 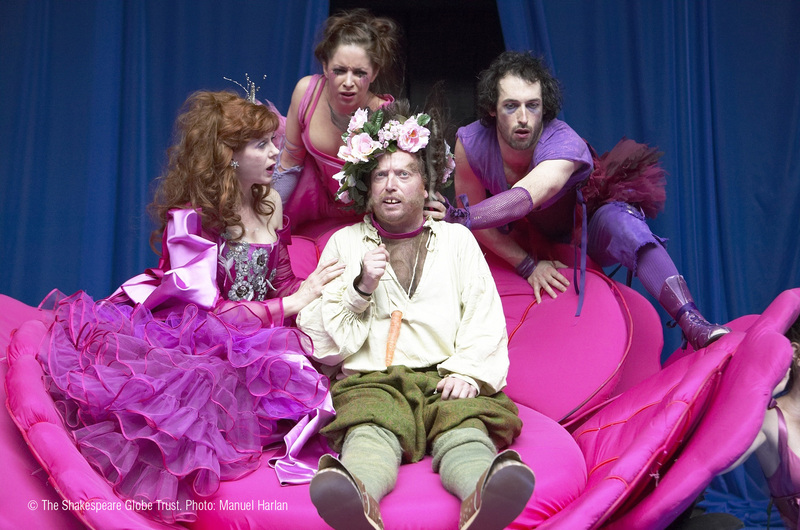 Scenes to use for this activity include the Mechanicals’ rehearsal and Bottom’s scenes with Titania. Can I write in an insightful way about how Shakespeare uses particular words in the play and the effects of these words? Which words are used most of all by Shakespeare? It will come as no surprise to students that the most common words in Shakespeare’s plays are very short useful words: the, and, I, to, of, a, you, my, in, that, is, not, with, me and it. Students can find the exact statistics at opensourceshakespeare.org/stats/. Ask students to jot down what they think the most common words in A Midsummer Night’s Dream are, leaving short words like pronouns and characters’ names aside. After giving students a few minutes for this activity and taking some feedback, show a Wordle-generated word cloud showing the 100 most commonly used words in A Midsummer Night’s Dream. You could even play a game of ‘Pointless’ using this information! Next, assign one of the most commonly used words to a pair or group of three. Students should find as many examples of that word in A Midsummer Night’s Dream as they can, either using an online concordance or scanning the text themselves. Possible words to use: dream, eye, fairy, flower, love, music, night, queen, sense, sight, sleep, vision. Then take feedback about the word’s meaning or meanings in the play. Students could choose how they do this feedback, e.g. dramatic presentation, choral speaking of important quotations, mindmap or poster with commentary by the students. Ask students to read the extract from Act 4 Scene 1 lines 27-77 and place it in context. Explain that this activity is not about language features so much as diction, i.e. Shakespeare’s word choices. As students read, they should look for the same words they searched for in the previous activity. How many of them can they find? Perhaps students could do what Fiona Banks calls ‘thematic heckling’, echoing the word to draw attention to it! Next, divide the extract into five sections of ten lines each. Students should pick out what they feel are the three most important words within their assigned section. Students should then go beyond the twelve words they looked for in Activity 1 and pick out the other words they feel are particularly crucial in this passage. Which words or closely-related forms of that word are repeated, e.g. love/lover, moon/moonshine)? What effects does this repetition achieve? As an extension question, students could think about how each of these motifs connects to the play’s main themes. Students could also investigate the use of opposites and oxymorons in this play, and their effects. Two passages for close analysis and annotation - from Act 1 Scene 1 and from Act 4 Scene 1 - are included in the Student Booklet, along with some prompts to support analysis of these passages and of the play as a whole. Which words does Shakespeare use repeatedly in A Midsummer Night’s Dream? What are the potential effects of this on the audience? What conclusions can I draw from this about the play’s atmosphere and mood, and about its themes and issues? Students choose one word from A Midsummer Night’s Dream which they have looked at today. This word should have more than one meaning or a more complex meaning than they first thought. Students should write down a few sentences about their word, and then a range of words and commentaries can be shared. Students can discover the frequency of any word in Shakespeare’s plays at opensourceshakespeare.org/concordance/. Students can then be taken to each individual instance of the word in use in specific plays or Shakespeare’s entire milieu. Wordle (wordle.net) can generate a variety of word clouds to support analysis of Shakespeare’s use of language in A Midsummer Night’s Dream, e.g. the commonest words in the whole play or in particular scenes or speeches, the language used by different characters, how a character’s diction changes. There is more information about each of the play’s motifs and themes in the Themes resources for Key Stage 3 and Key Stage 4. Can I remember key quotations and who said them? Can I choose and incorporate short and appropriate quotations into my planning? Can I draft a coherent paragraph that makes effective use of quotations? As a class, create a brainstorm showing everything that students already know about using quotations in essays. Students should then choose a memorable shorter quotation (between 1 and 8 words in length) from each long quotation, and highlight them in the Student Booklet. annotating these quotations and planning out your answer, then drafting your paragraph, ensuring that the success criteria described below are met. Choose another relatively minor character (e.g. Philostrate, Tom Snout, Hippolyta, Egeus, Titania’s Fairy), and write a paragraph assessing their role and significance in the play. What study skills do I need to identify key quotations and learn them when revising for an exam? As well as searching for words, students can also search by character and create a print-out of all of a particular character’s lines at opensourceshakespeare.org. The next two pages take students through the process of writing an essay about A Midsummer Night’s Dream. Students should locate the quotations and insert the correct word in the spaces in the Student Booklet. How many words did they know without looking? Students could then discuss in pairs how they would go about committing short quotations such as these to memory. Share strategies as a class. As an extension activity, students could suggest a point which could be used as evidence from the quotations. Choose a longer speech from the play and write a detailed analysis of what it reveals about that character’s thoughts and feelings. How does the language of the fairies in the play mark them out as different to any of the other characters, and what might be the effect on the audience? Choose two scenes in the play in which characters are shown to disagree with each other. Analyse and compare the language Shakespeare uses in these scenes. 1) How does Shakespeare use language to evoke different moods and settings in A Midsummer Night’s Dream? 2) Write a detailed analysis of Titania’s and Oberon’s use of language in Act 2 Scene 1. 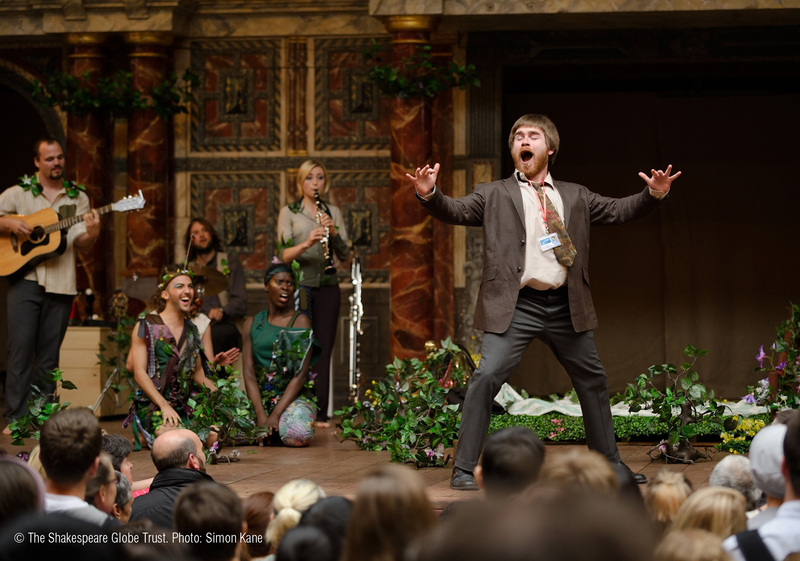 3) How does Shakespeare write about love in A Midsummer Night’s Dream? The following page continues to work through the process of writing an essay about A Midsummer Night’s Dream. Students could return to their peer/self assessment feedback from the previous learning sequence. This will help them to focus on their individual strengths and targets as they draft their essays. You might find this a helpful point at which to guide students through the ‘My 5 skill areas for writing a brilliant Shakespeare answer’ checklist in the Student Booklet. Following on from your planning model in the previous learning sequence, students could plan their essay with teacher support as appropriate. the argument the student is advancing in that paragraph. Students should consistently be encouraged to review their work in progress against success criteria and individual targets. The ‘My 5 skill areas for writing a brilliant Shakespeare answer’ checklist is a useful tool for reflection and target-setting throughout this process. Am I meeting the success criteria and where is there room for improvement? There is a space in the Student Booklet for students to record feedback and personal target-setting in relation to revision skills and writing skills. Encourage students to include in their Student Booklet at least one practice essay and evidence of their entire writing process, from brainstorm to plan to first draft to finished draft. This will help you to assess their writing process as well as the end result. This learning sequence and the previous one take students through the process of writing an essay about A Midsummer Night’s Dream. The essay can be used as an end-of-unit assessment task for reading and writing.